In 2017 Vintage Automotive Designer Eric Black designed a stunning looking Coachbuild influenced stretched 1936 Ford Roadster. 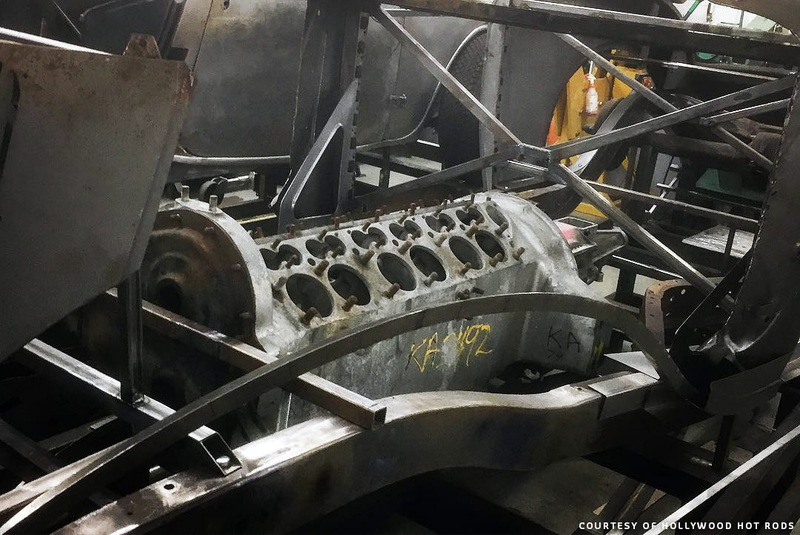 A design that is now taking shape in metal by the team at Hollywood Hot Rods. 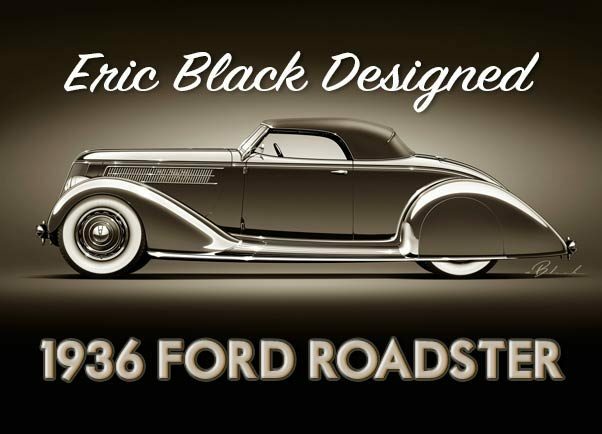 On NOVEMBER 9, 2017 Eric Black Design shared one image of an beautiful restyled 1936 Ford Roadster on hit Instagram. And this is what he wrote about it. I was capture by the shear beauty of the Custom design, the perfect balance of the car. It seamed like Erick had re-scaled an 1936 Ford, and created it as a Mercury, or Lincoln exclusive factory custom. 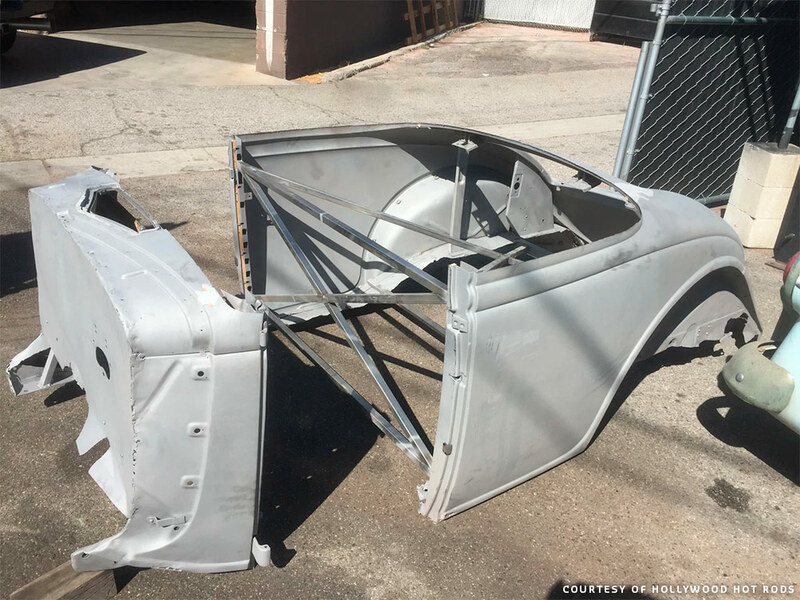 With the longer wheelbase design Eric had solved the forward look of the cabin on a stock ’36 Ford Roadster. A design glitch that happened when the original designs of the ’36 Ford had to be made production ready, and a solution needed to be found for the space behind the cabin on the dicky-seat versions. Reading Eric Blacks info with the photo I sure hoped that somebody would step in and actually create this stunning eBlack design. 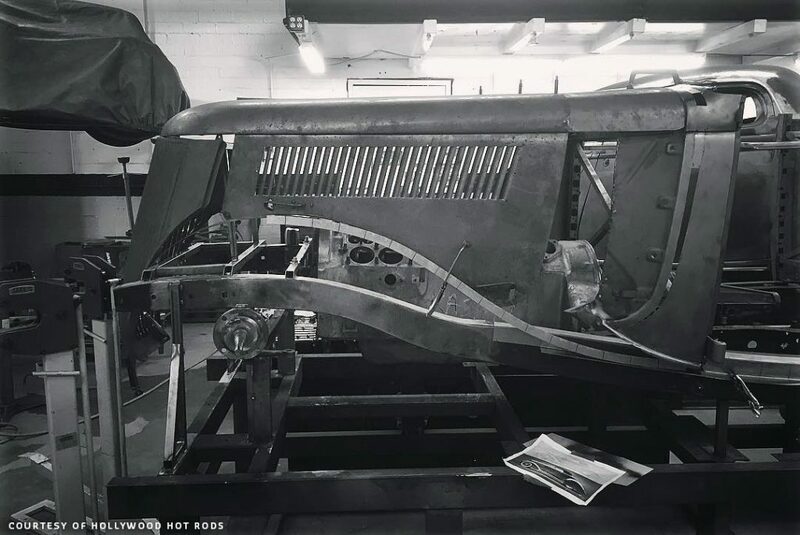 In January 2019 I was searching for something online when I came across and 3/4 view of the eBlack ’36 Ford Roadster design, which brought me to the Hollywood Hot Rods website. 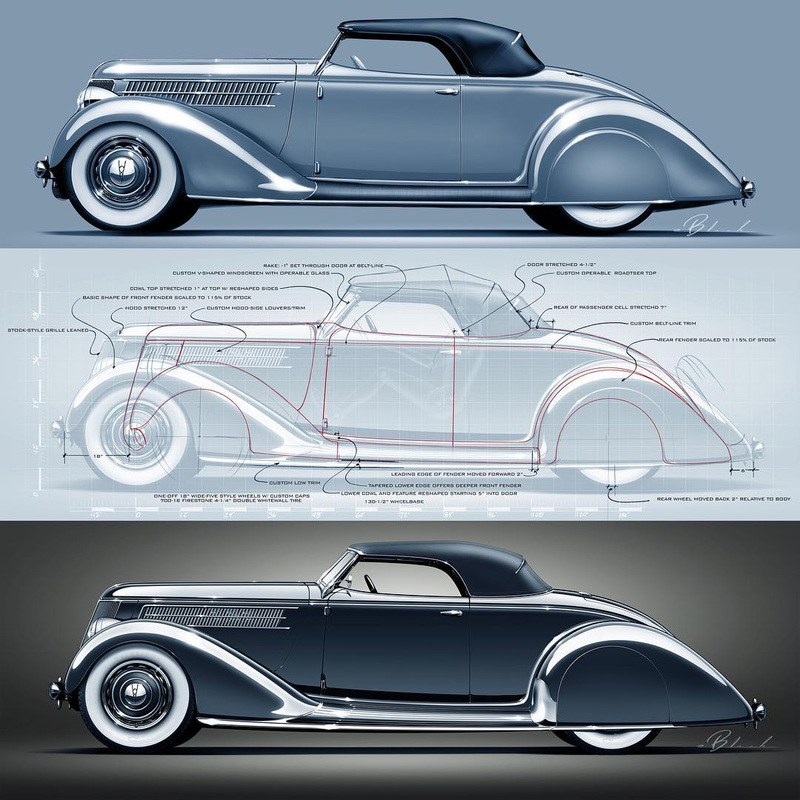 4 stunning design images that Eric Black had created were shared with the info that the project had started showing a few pictures of a widened and stretched ’36 Ford body. 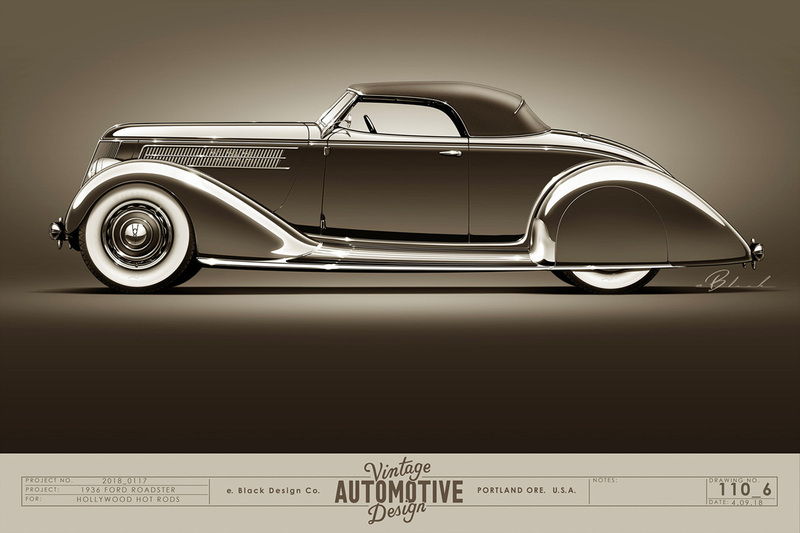 I was extremely happy with the news that my favorite eBlack designed ’36 Ford Roadster project would become reality. And that the Hollywood Hot Rods Shop was creating the car. 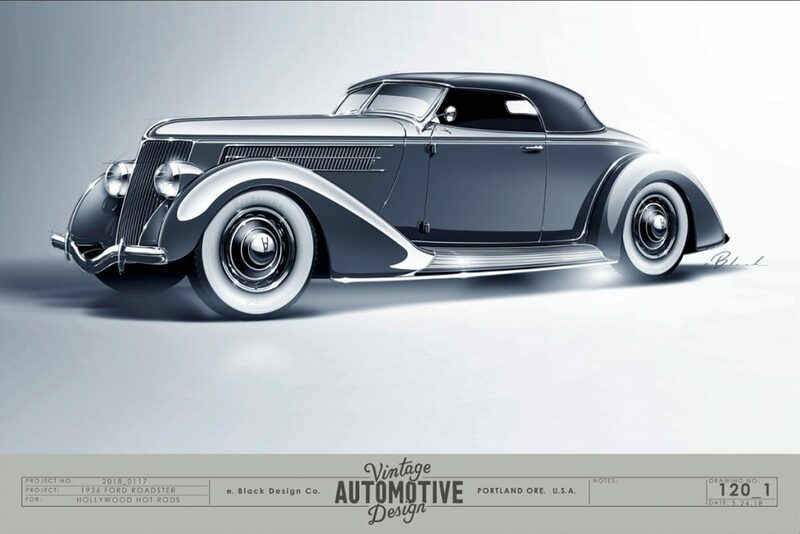 Eric Black designed this stunning Packard for the Hollywood Hot Rods Shop and the was car awarded America’s Most Beautiful Roadster AMBR in 2017. The Hollywood and Eric Black collaboration goes back some time and together they have created some stunning automotive art, including the 2017 AMBR winning Custom Packard. 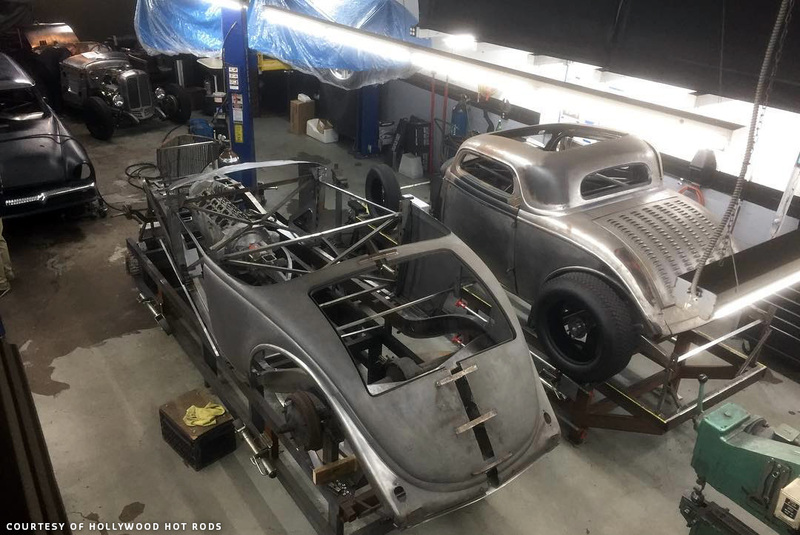 In February 2019 the Hollywood Hot Rod Shop shared a few more images of their new ’36 Ford Roadster Project. Lets hope these sneak peak photos will keep coming thru-out the project. I have started a new thread on the CCC-Forum which I will be updating with new material as soon as is is being shared by Hollywood Hot Rods. 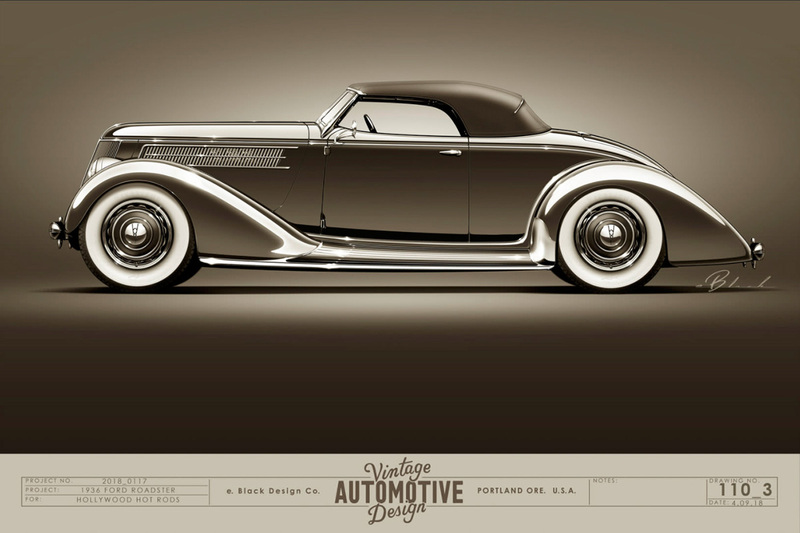 Side view illustration comparing a stock ’36 Ford Roadster with the Eric Black designed Roadster. 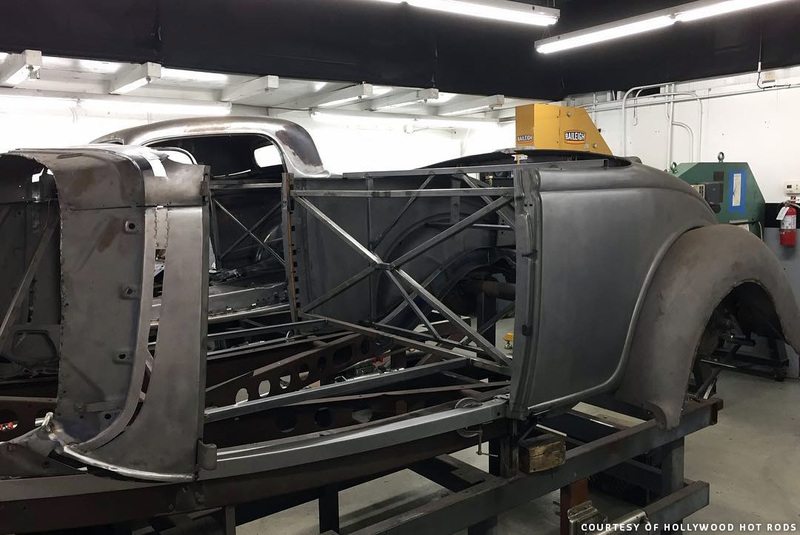 Side view of the Eric Black ’36 Ford Roadster as how it will be created by the Hollywood Hot Rods Shop. Some changes were made from the original design created in 2017. Including lowered headlights, longer nose and angled grille. Front 3/4 view shows the beautiful mix of Coachbuilding and Custom Restyling. Eric also created a version without the flush fit skirts. 3/4 front view of the skirt-less version. Original idea, what needs to be done, and the production visual all in one image. The image above was posted by Eric Black on his Instagram. Showing the original concept in the top image, the fine tuned “production” version in thebottom image, and what needs to be done in between. And this is what Eric said about it. “eBDCo for Hollywood Hot Rods. Q: What’s the best part of my job? A: Sometimes I come up with really (really) weird ideas and I just happen to know people WAY more talented than me who can turn them into reality. Case in point is the ‘36 Ford Roadster underway at Hollywood Hot Rods. The upper drawing was the late-night idea. The lower is the developed version. The big idea was to have an absolutely identifiable and iconic vehicle and change the scale. Sort of hit it with a ray gun and make it just a bit more, well, grand. With a notion of the Ford form language of the mid ‘30s but up the level of detail to the grand cars beyond even the elegant Lincolns of the era. 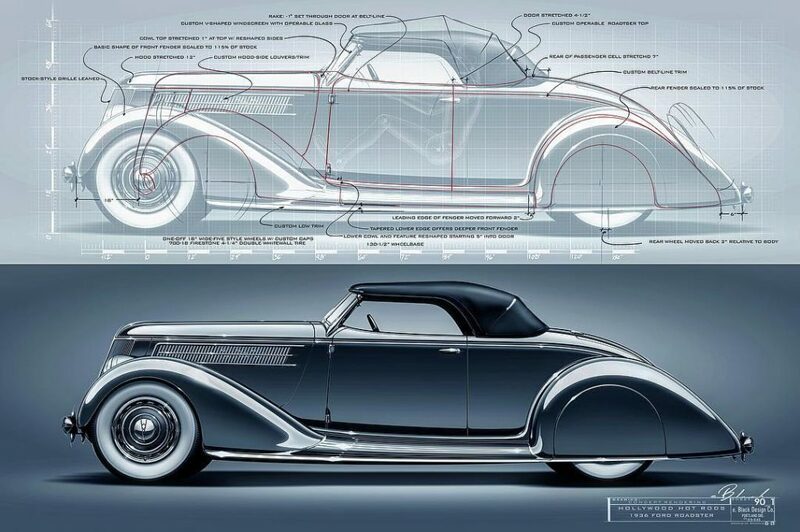 I will admit it’s a bit of a stretch, but think of a Ford stepping out as a Duesenberg. 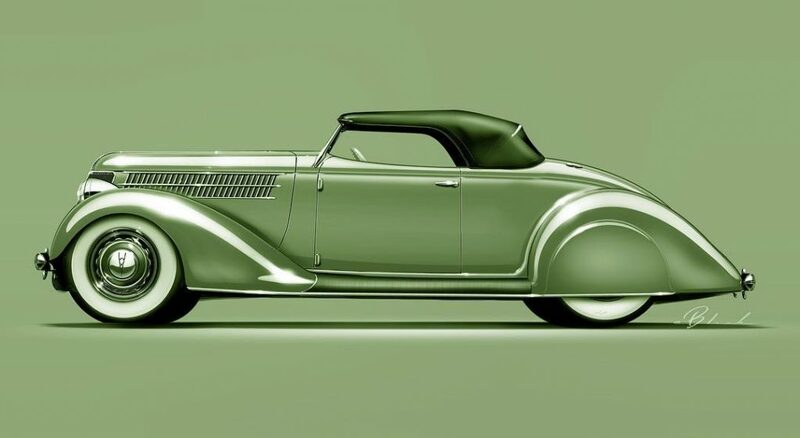 As a matter of fact, the ‘34 Duesenberg Model J with coachwork by Graber was a massive influence formally on this design. Overview photo shows that the body is not only stretched, but also widened. A complete jig has been fabricated based on the Eric Black designs, for the car ensuring perfect fit. The main body is stretched with longer doors as well as a stretched cowl. 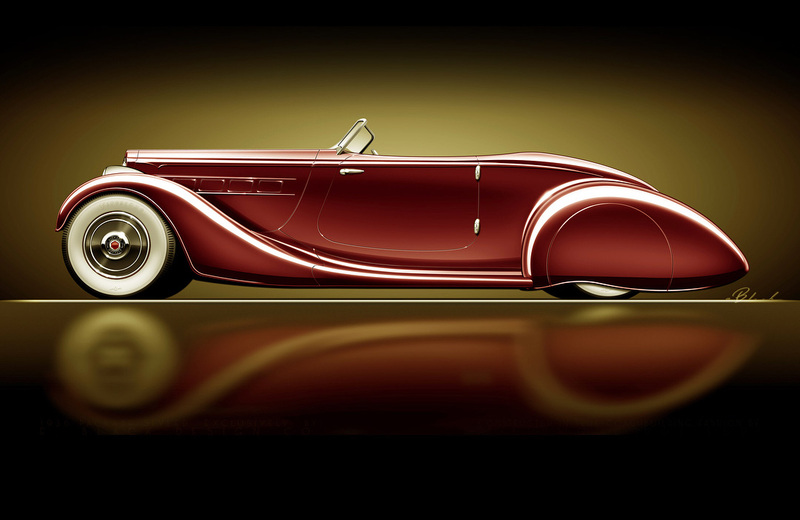 Be sure to check the CCC-Forum Post on the Eric Black Designed 1936 Ford Roadster from time to time. There I will be sharing all the new updates on the project. Click the image below to fist the Forum Post. Thank you for sharing, Rik. 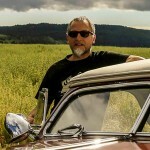 Constantly stunned with Eric Black’s eye for styling and balance of all elements brought together in his automotive art. And to be treated with the reality of the rolling sculpture that talented metal artists, such as Hollywood Hot Rods, and Pinkee’s, can do, leaves us only able to say: WOW! I really appreciate the work and design, but to me, the shorter, squatter shape of the ‘36 is what makes it such an iconic custom. Once I hear about stretching and widening and ‘what if…’ it just leaves me cold. The rendering looks like a beautiful coach built packard – and that would be an awesome car, but I feel the soul and definitive style of the ‘36 is lost.